In your OnSign TV account, click on Content on the left menu. Organize the content you want to use in a folder. 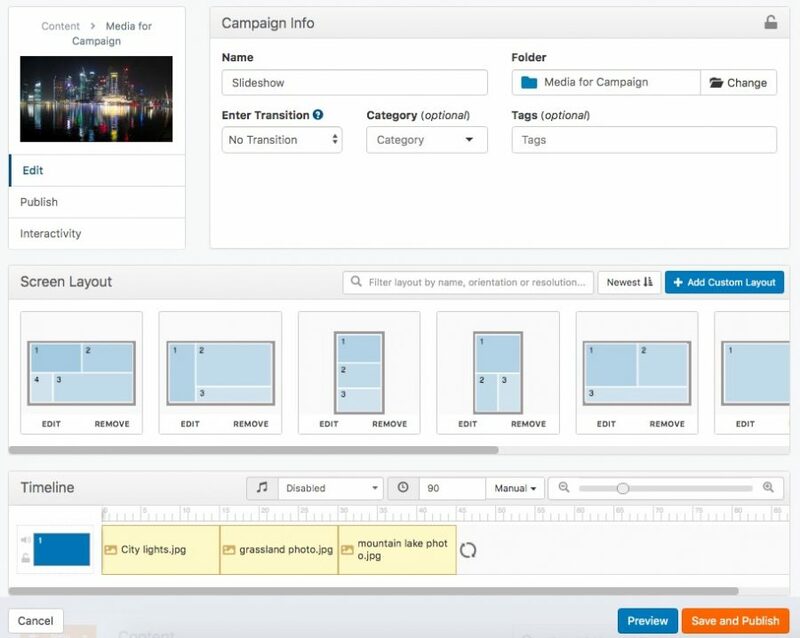 With the mouse, select all media items you want to include in the Campaign. Right-click over the selected items and hit the “New Campaign” option from the pop-up menu. Set a title for the Campaign and the duration of each file. Click “Create Campaign” once you are finished. You’ll be redirected to the Campaign editor page. Now you can edit other preferences, such as screen layout, adjust each file's length, add Apps, and more.